CBRE’s Mark Granter and Scott Orchard will steer the marketing campaign for the significant inner-urban site, which comprises almost 37,000 square metres of land formerly occupied by Melbourne’s iconic Pentridge jail. Expressions of Interest are being sought for the remaining undeveloped lots, which are being offered in one line in a campaign tipped to attract both local and offshore buyer interest. CBRE’s Mark Granter said Pentridge Village has the potential to become a focal point within Coburg and an important future hub under the Victorian State Government’s urban development strategy for the area. The offering includes 12 sites ranging in size from 1,670 square metres to 5,618 square metres, as well as 10 retail properties and eight partly completed retail shells. It also incorporates 161 former prison cells. Expressions of Interest will close Thursday, 4th December at 4pm. CBRE’s Scott Orchard said the appeal for an incoming purchaser would be the ability to stage the project and undertake developments of varying scale and density in an established location, just eight kilometres from the Melbourne CBD. “There is the opportunity to reposition and rebrand the development in the market and capitalise on Melbourne’s continued population growth,” Mr Orchard said. The proposed site is in close proximity to the Sydney Road retail precinct that includes supermarkets and major retailers, along with excellent public transport facilities like the Coburg station and major tram services. Pentridge Village is accessed via two of the city’s key arterial roads - Bell Street and Sydney Road, close to City Link. It is situated in Central Coburg, which has been named as a Principal Activity Centre under the Victorian State Government’s strategic planning policy. 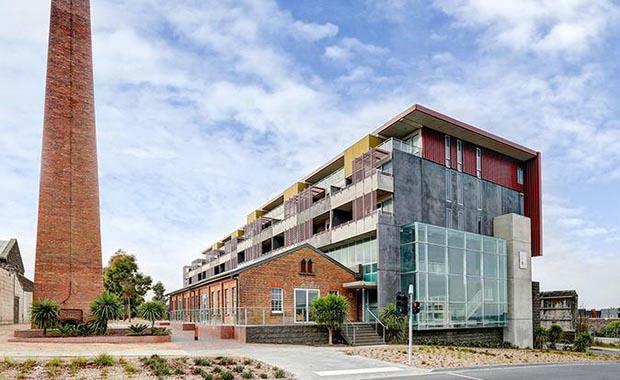 “Pentridge Village is well placed to take advantage of these new strategic planning initiatives, with the Coburg 2020 Structure Plan having set a strong foundation for Coburg’s urban renewal over the next five to 15 years,” Mr Granter said.